Tarts for a Cause. A word with Dickie Gazoonie. 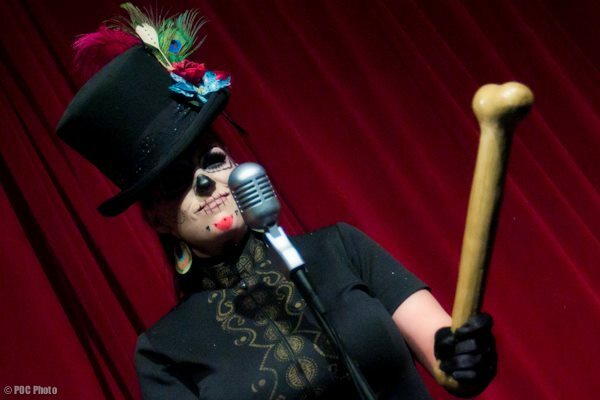 Tempting Tarts Burlesque will give an encore performance of their Halloween show Tarts of Darkness this Friday November 4th at the Rendezvous/Jewelbox Theater (two shows- 7 & 8:30-$10 for tix). All proceeds will go to troupe member Fleur Du Mal who has incurred some hefty medical bills this past year. 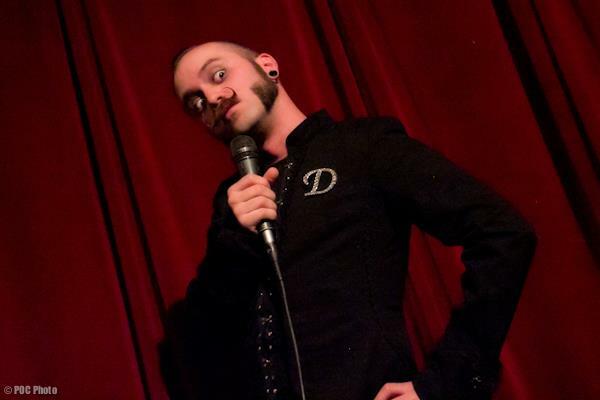 Master of Ceremonies for the evening will be “The Cavorting Mouthpiece”- Dickie Gazoonie. “I first got into cabaret and burlesque while I was living in New York, sometime between 1999 and 2004. I don’t know exactly when or how it happened (it’s kind of a blur, hahaha!) all I know is that one day I was selling hot dogs (true story) and the next day I was dancing nekkid on stage. I have a long history of stage acting and performance, but i’d never emceed (or even really done anything unscripted) until The Tempting Tarts kidnapped me last year… and it’s been wonderful. It’s hard to believe I’ve already become a part of such a close-knit family here with these women after barely moving to Seattle two years ago. 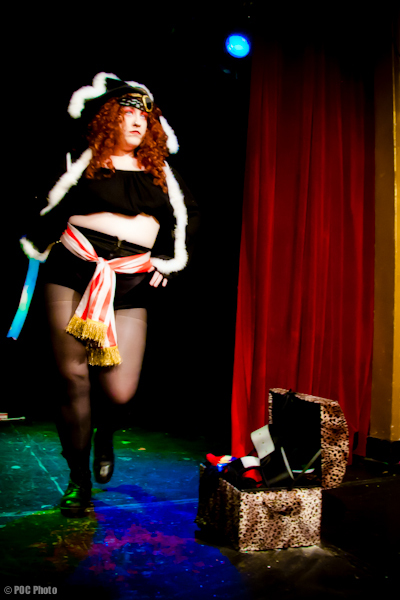 Look for more Tempting Tarts Burlesque at the end of the month in their next show, Tarts Of The West, Friday November 25th with 2 shows at 7 & 8:30 at The Rendezvous/Jewelbox Theater. For more info go to www.temptingtarts.com.